Mary Hare is delighted to have been nominated by Dreweatts auctioneers as their Charity of the Year for 2019. The idea came to staff at Dreweatts following the launch of the Maryhare sculpture project in September 2018. Cristian Beadman and Charlotte Schelling, sculpture and works of art specialists at Dreweatts, attended the event in London where Pippa Middleton (Ambassador to Mary Hare), and sculptor Sophie Ryder, told guests how they had teamed up to create a unique work to be sold in support of the Mary Hare Primary School Appeal. Mary Hare plans to build a brand new, bespoke Primary School for deaf children on its site near Newbury, Berkshire. The whole project will cost £6 million and the School aims to raise half of this (£3 million) from a fundraising Appeal and the rest from the sale of the existing Primary School building. 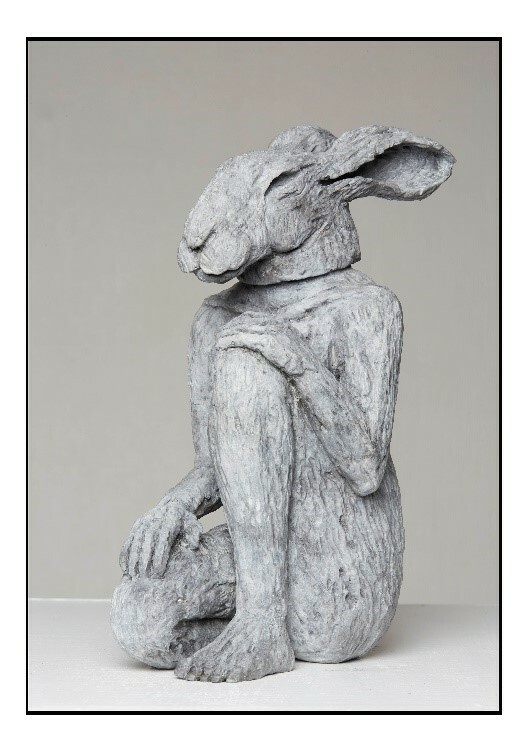 Sophie Ryder has donated a limited edition of 50 bronzes to be sold for the charity. She named the sculpture Maryhare as it shows a woman’s body with the head of a hare. Cristian and Charlotte were so impressed by the project they wanted to offer their help in some way. During the year, Dreweatts will support Mary Hare in several ways. The main event is an auction of donated art, to be held in early September. The charity and Dreweatts are approaching artists to donate a work of art to be auctioned alongside one of Sophie Ryder’s Maryhare sculptures. In addition, Dreweatts staff will welcome 6th form pupils interested in art and history - to give them an insight into the world of fine art auctioneers.